I should have posted this yesterday, but events overtook me. 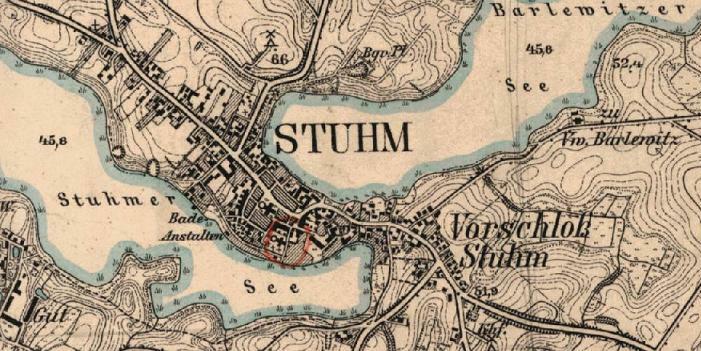 Yesterday (Thursday) I was investigating the West Prussian town from which my German friend’s Father originated, a place called Stuhm, now in Poland. An interesting little place, and the Wikipedia link to an old Topography of Prussia provided a quaint sounding description of the area from 1789, with the small village dominated by an old castle and surrounded by two large lakes. The last paragraph however tells the curious story of a tradition of banning the lighting of fires on a particular day of the year, because the town had previously burnt down three separate times on the same day. That day was the Thursday before Pfingsten (Whitsun), the day I read the article. I think that’s curious anyway, but so are lots of things.